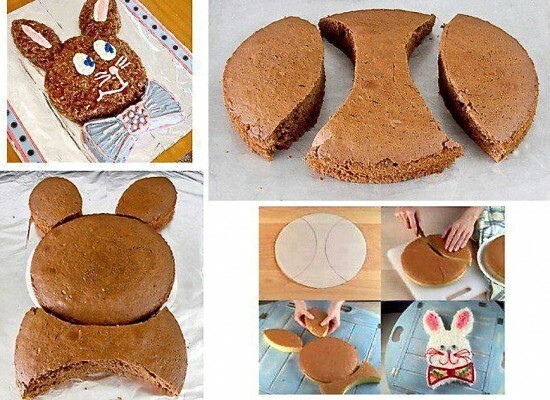 If you have not found the perfect dessert for your Easter get-together, check out this easy bunny cake. You can use a box mix or your own homemade cake recipe. 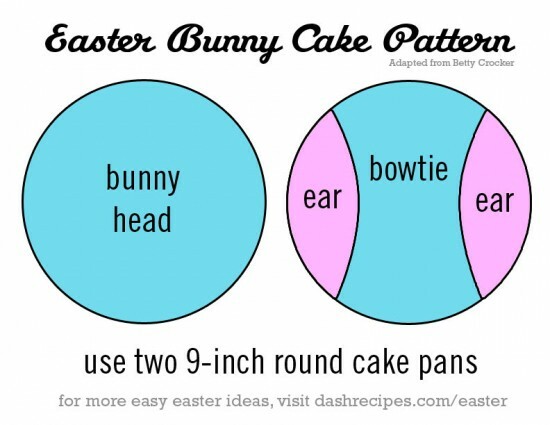 Below is a pattern for the cake. You simply bake two 9-inch cakes (any flavor you choose). One is used for the head and the other for the bow tie and ears. Here is a picture tutorial on how to cut and assemble this cake. 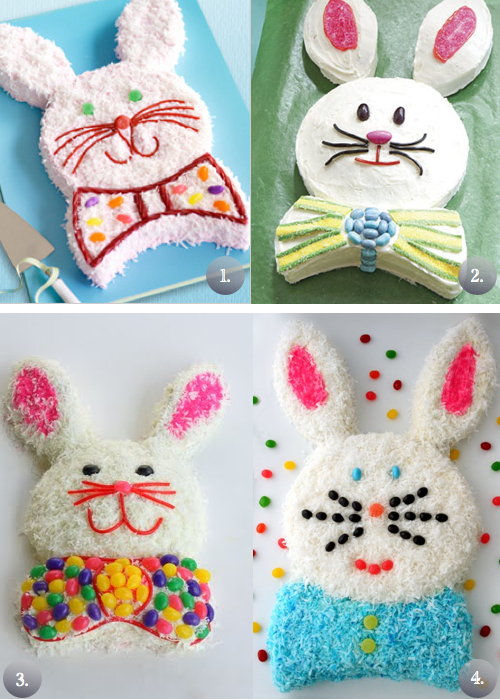 Below are a few examples of how others have decorated their bunny cakes. You can choose to either ice the cake and then decorate or ice the cake, cover it with shredded coconut, and then add all the decorations. Visit Kraft for a video tutorial on how to make this Easter dessert. 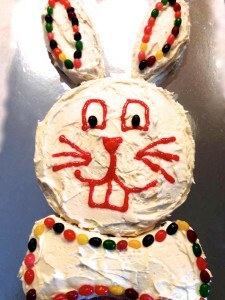 Here is my attempt at the Easter Bunny Cake. It was so easy and the kids could not wait to tear into it!